Product care: Chilled Keep covered. Keep refrigerated below 5°C. Do not freeze. Best heated before serving. Guideline: place in a pre-heated oven, 175°C, until core temperature of 75°C is reached. Do not over-bake. Do not re-heat. Product care: Frozen Thaw in a refrigerator. Consume within ten days of thawing. Do not re-freeze. Keep refrigerated at below 5°C. Keep covered. At its best heated before serving. Guideline: place in a pre-heated oven, 175°C, until core temperature of 75°C is reached. Do not over-bake. Do not re-heat. 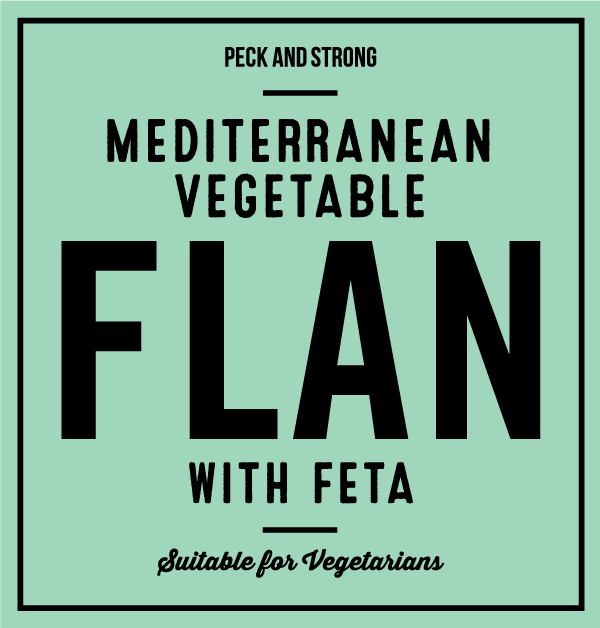 Free Range Eggs, Single Cream (Milk), Red Peppers, Yellow Peppers, Courgettes, Wheat Flour (contains Gluten), Pure Vegetable Margarine (Certified Sustainable Palm Oil, Rapeseed Oil), Feta Cheese (7%) (Milk), Red Onion, Fresh Garlic, Salt, Pepper.